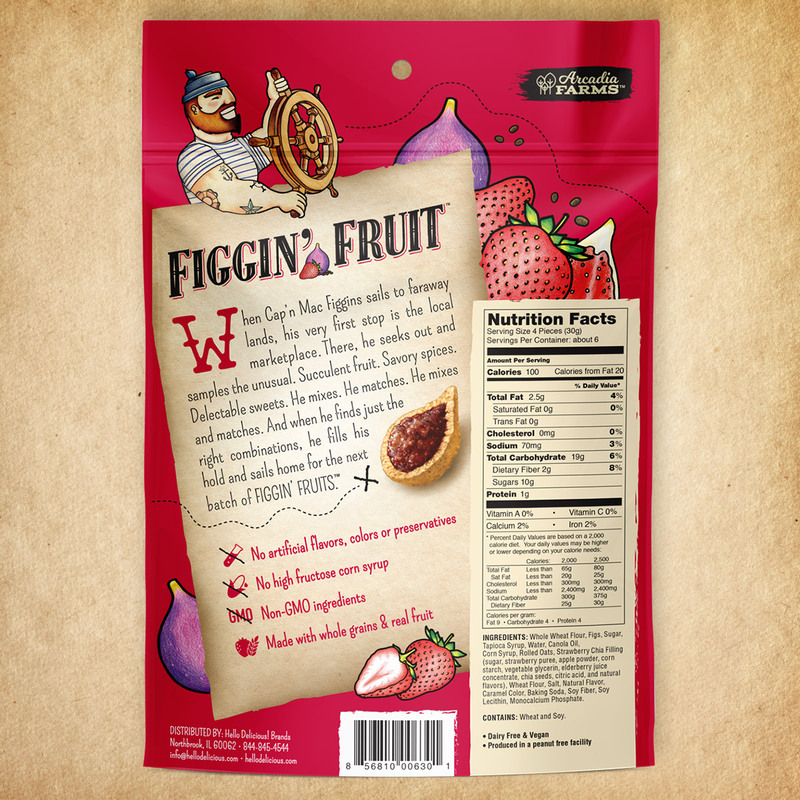 Figgin’ Fruit - Pivot Marketing Inc.
We made figs fun again! 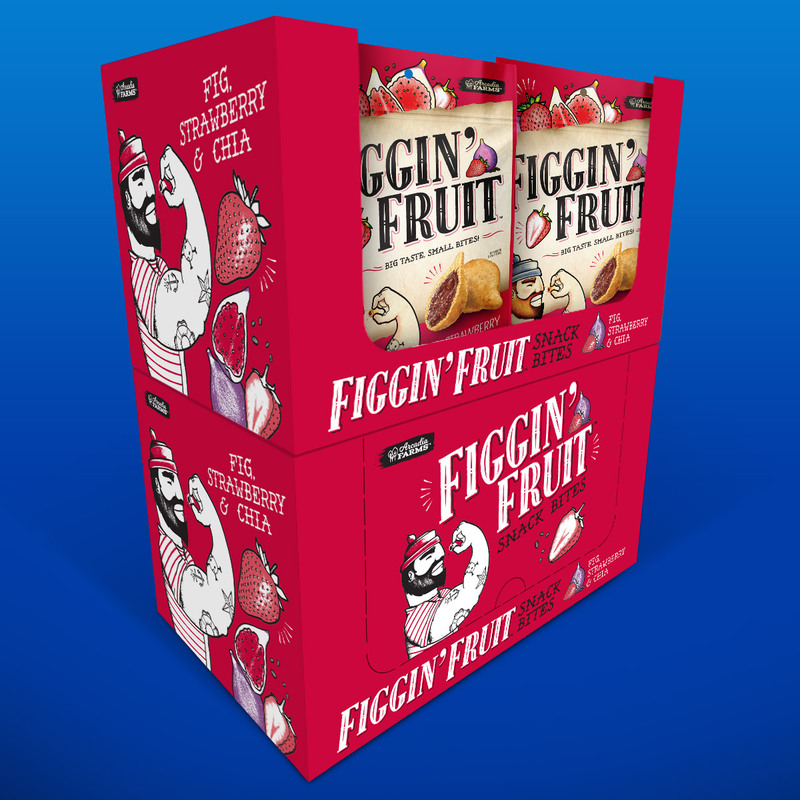 Figgin' Fruit wanted to make a splash in a snoozy snack category and with our playful packaging it's not your father's fig cookie. 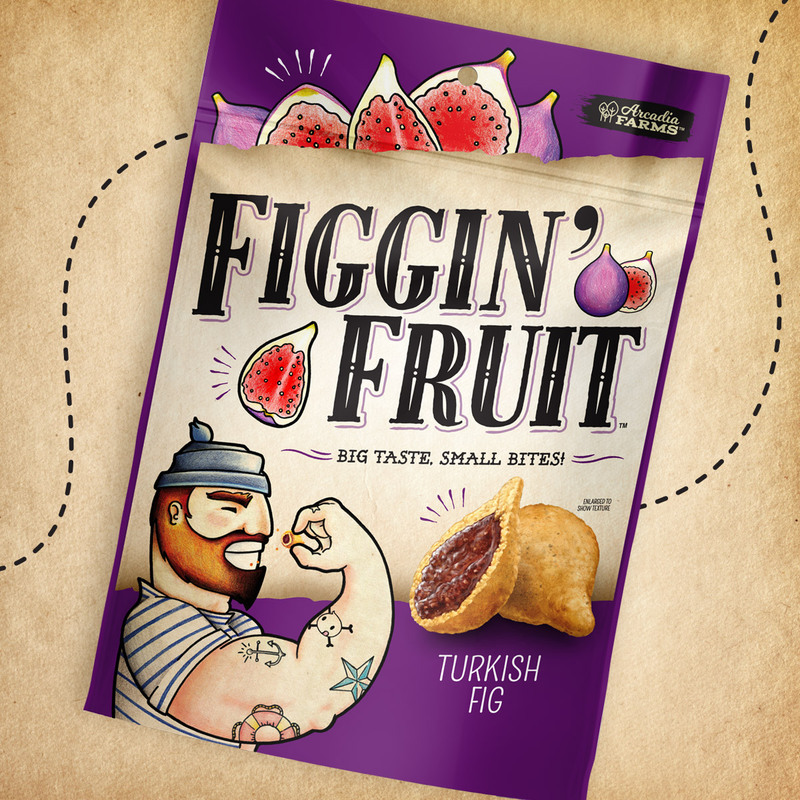 We made figs fun again. Hello Delicious! 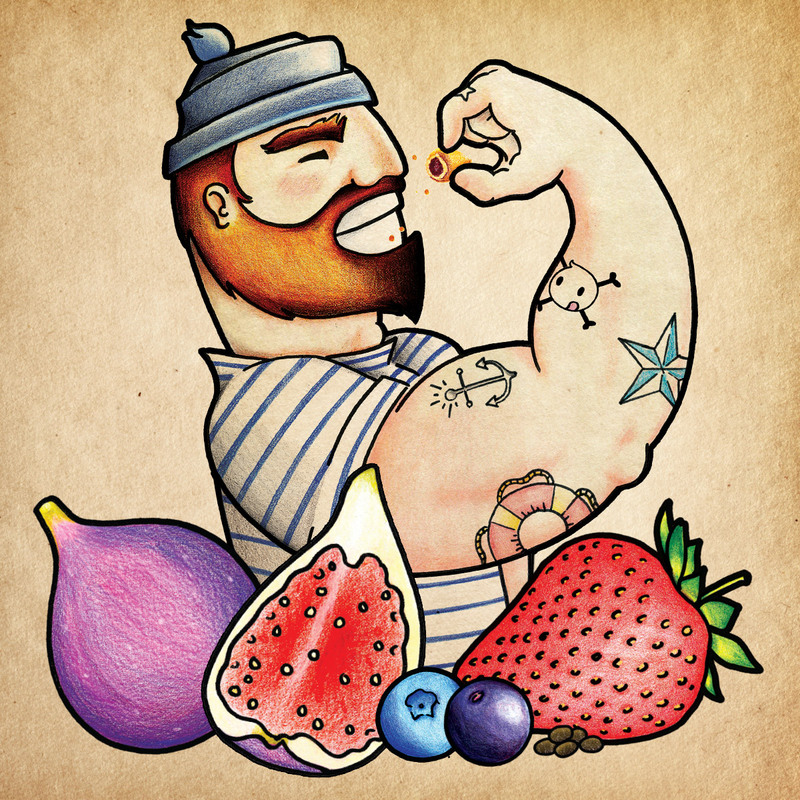 Brands wanted to make a splash in a snoozy snack category, committed to shaking it up and changing the perception of the venerable but much-maligned fig cookie. 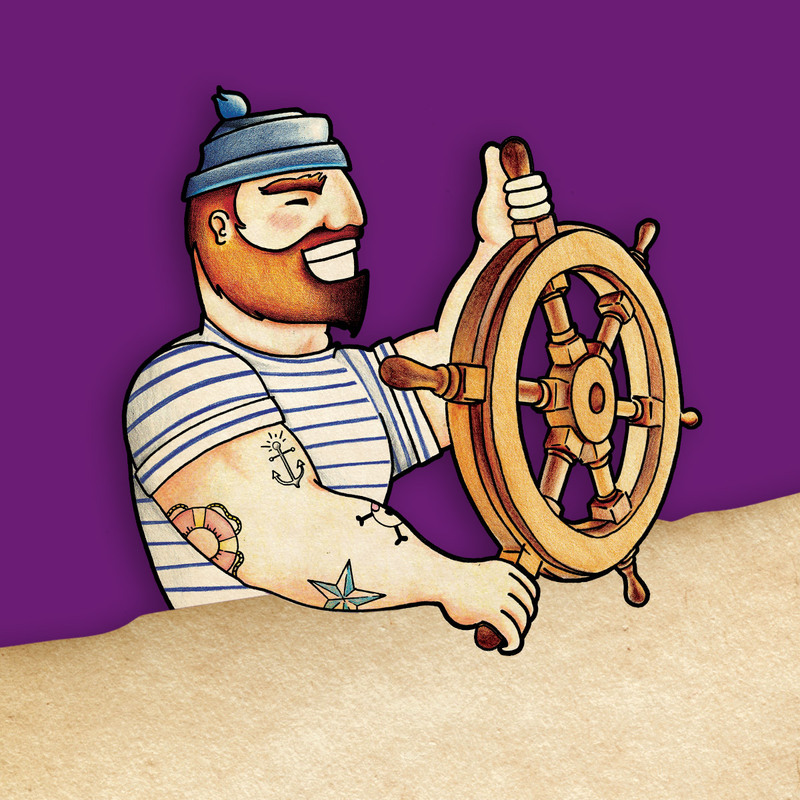 Trouble was, consumers previously saw these snacks as decidedly downbeat, dominated by thin, dried-out crumbly offerings. Given that Hello Delicious! 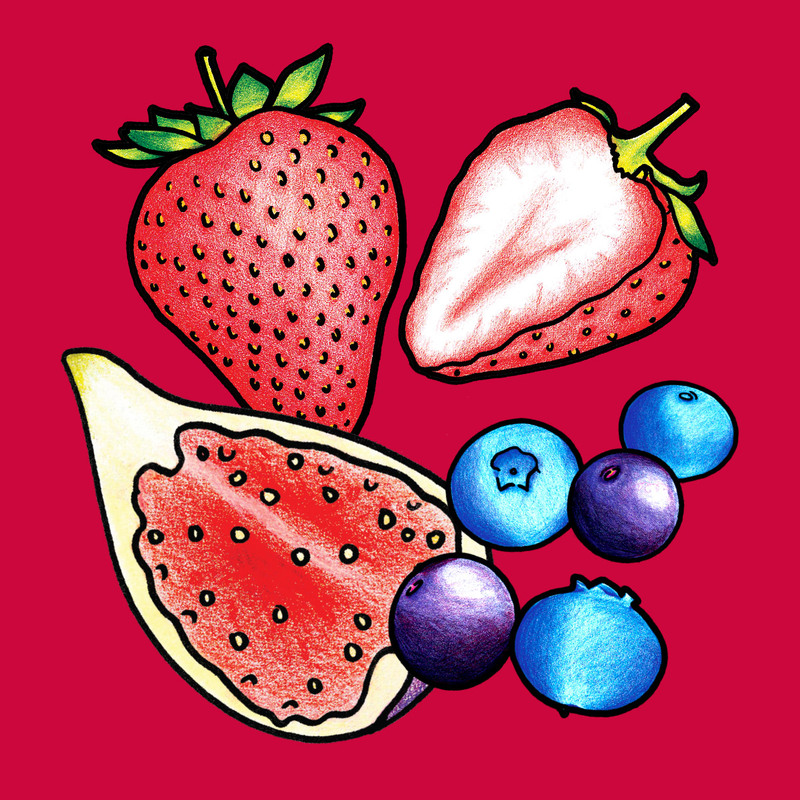 was crafting plump, fruit-filled poppable drops in a variety of fun flavors, it was important to ensure the packaging conveyed a different kind of experience. So, we began with a competitive analysis, then quickly moved into a naming exercise, coming up with dozens of names to position the product accordingly. 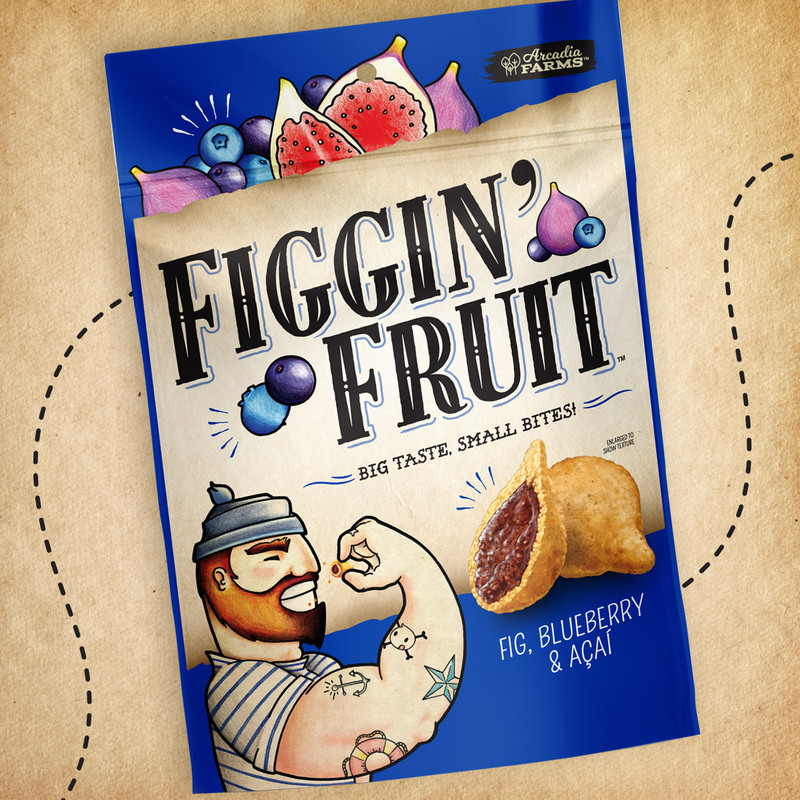 When the Figgin’ Fruit brand was launched, it was launched with a vibrant, playful set of packages, touting a whimsical mascot in Cap’n Mac Figgins and a backstory that amped up the fun in fruit. 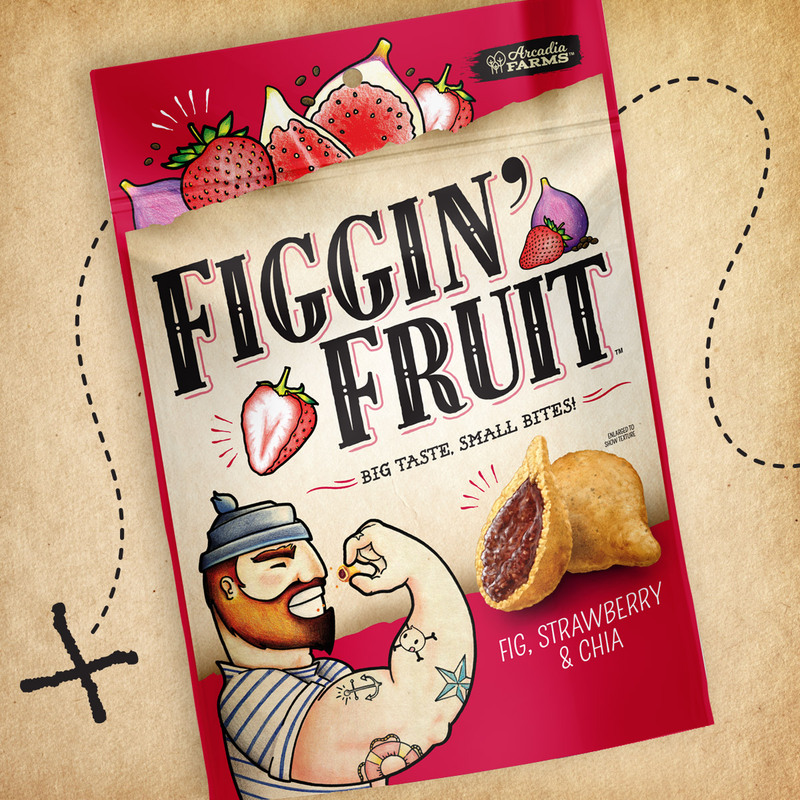 By all indications, our work ensured that Figgin’ Fruit is not your father’s fig cookie.